The meeting will be chaired by Union Home Minister Rajnath Singh and attended by an ABSU delegation led by its president Pramod Boro. Senior officials of the Assam government will also be present in the talks. The much hyped Bodo tripartite talks will be held in New Delhi on November 19. The meeting will take place at North Block. “Our talk will take place on November 19,” ABSU president Pramod Boro told Northeast Now. 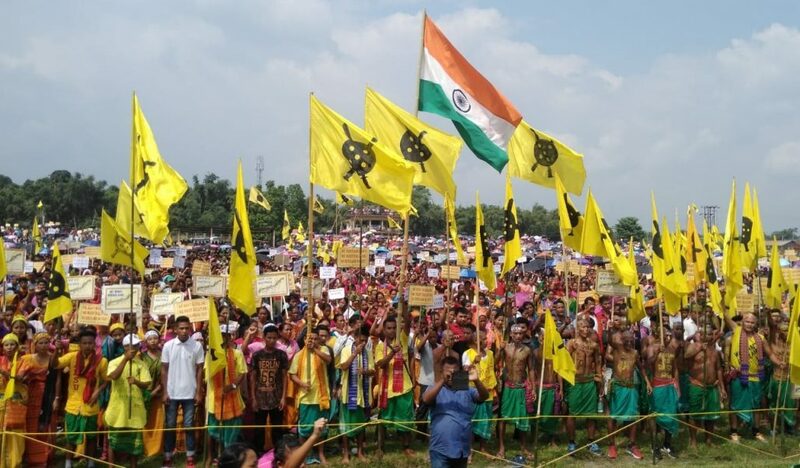 The Bodo delegation will reiterate their demand for a separate Bodoland state. However, officials in the Home Ministry ruled out any such possibility of creating separate Bodoland state. Meanwhile, ABSU has denied discussing anything on reported Union Territorial Council (UTC), as reported by a section of media. In a press statement, ABSU president Pramod Boro said UTC debate is nothing but an ill designed and fabricated news. “There is no official statement made by either the Home Ministry or the movement groups including ABSU, PJACBM and others,” Boro said. He said that it is a self made ‘design’ to divert the prevailing protest in Assam over the Citizenship (Amendment) Bill 2016. “It is a conspiracy against the Bodo issue and sentiment of the indigenous people living in the Bodoland area…we appeal to all section of the people to come forward and support for an everlasting peaceful solution of the Bodo issue,” the ABSU president said.